An audit is not only useful for checking and verifying the reliability of financial statements and the recording of completed transactions, but also for making a rigorous analysis of each risk inherent to any business activity. The auditing process must be used to detect improvement opportunities in enterprise level systems, identify inefficient areas and, in general, stimulate the economic and financial progress of the company. Even though, auditing is frequently considered just as a legal requirement, it is progressively better appreciated thanks to the benefits it provides as management tool; in fact, the number of voluntary audits made in Spain increases year on year. Naturally, a good work requires the intervention of good professionals. 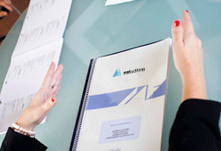 In MAF AUDITORES, the training and specialization of our team, is one of our top priorities. The belonging of MAF AUDITORES to the International Association of Independent Accounting and Auditing Firms, PRIME GLOBAL, represents recognition for quality of the professional services we provide. Mandatory and voluntary auditing of annual accounts, both consolidated annual accounts and individual annual accounts. Auditing of balance sheets in case of merger, corporate transformation, etc. Auditing of provisional financial statements. Special report on the exclusion of the first subscription right. Special report on an issue of convertible bonds. Special report on stock valuation. Special report on capital increase by credit offset. Special report on capital increase charged to reserves. Other special reports required by the Mercantile Register, in the case of merger, spin-off, refinancing agreement, etc. Reports and certificates of review of accounts evidencing grants. Solvency reports required by official agencies. Reports on the statement of ECOEMBES containers. 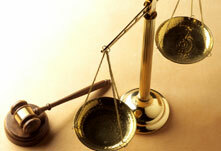 Expert reports on economic issues subject to judicial proceedings.